The annual PMEA programme will officially launch this month and for its 19th year, the awards show has appointed a new Chair of Judges. 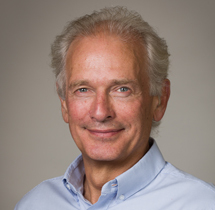 Dr Paul Stuart-Kregor is co-founder and vice president of Cello Health Consulting, a strategy consultancy dedicated to healthcare, and has spent over 35 years in healthcare marketing. He has dedicated 24 of those years to Cello Health Consulting, serving in various roles including director and vice president, overcoming many hurdles for his clients along the way. As PMEA Chair of Judges however, Stuart-Kregor faces a new challenge. “I have been passionate about excellent marketing since my first product manager role back in the mid 1980s,” said Stuart-Kregor. The awards programme celebrates those working in pharma, medical device/diagnostics, healthcare agencies/consultancies, patient associations, charities, trade organisations and professional bodies, with one shared goal – improving patient outcomes through excellent marketing. Last year saw the introduction of a brand new category, The Award for Patient-Centricity, which arose due to the fast-moving, dynamic healthcare landscape. “We review the categories on a regular basis and discuss potential options with agencies and companies to ensure the categories are as relevant as possible,” said Stuart-Kregor. In order for work to be recognised and subsequently awarded, those entering the awards must follow a strict set of criteria. “Those that win will have taken a very thorough, structured and excellent approach to their work, and that will be reflected in the quality of their entry. All of the judges will review each entry in the categories they are assigned to ahead of the judging day. This ensures that “every entry is given a thorough and measured examination by the judges without the time pressure of judging day”, said Stuart-Kregor. Each entry is scored against the criteria and on the judging day the work is discussed to generate a final score. “This is why it’s so important to take the time to properly review each entry, bearing in mind that as judges, we’re likely to review over 30 entries each,” said Stuart-Kregor. He adds: “Please read the judging criteria for each award – they are different – and when following the entry format ensure you cover the points we’re looking for. The highly coveted Company of the Year award is judged a bit differently to the rest of the categories. It is open to any pharmaceutical, life sciences or medical device company operating in the UK and Europe, and is awarded to the company that can demonstrate outstanding customer-centric achievement across its entire product range. Following a review of all the entries, the judging panel will compile a shortlist of companies that will be announced as finalists in the category. Those who are shortlisted will be invited to present to the judging panel at one-hour intervals during the day. “This is my favourite part of the whole programme,” said Stuart-Kregor. “The shortlisted companies make such a huge effort and seeing how well organisations can and do operate is very stimulating. “Likewise, it is a real privilege to see so much work from many different companies, charities and agencies that are submitted into the other categories. The PMEA programme will culminate in an awards dinner and presentation held in November in London.